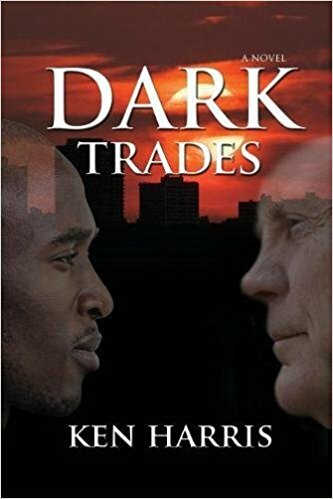 Posted on August 29, 2017 Author KibetCategories Free Kindle History Books, HIstorical, HIstoryLeave a comment on Kindle History Deals for Tuesday! 6 Amazing Free Kindle History Books for Monday! *Summary of David Grann’s Killers of the Flower Moon: Key Takeaways & Analysis (Deal, Not Free) by SUMOREADS. Price: $0.99. Genre: Nonfiction Summary Book Deal, Sponsor, Suspicious Murders in Oklahoma, History, Oklahoma, Law Enforcement in early 20th Century, Creation of FBI. Rated: 5 stars on 1 Reviews. 27 pages. ASIN: B074YWGZHB. *The Confessions of Socrates (Deal, Not Free) by R. L. Prendergast. Price: $0.99. Genre: Non Fiction Book Deal, Sponsor, History, Life of Socrates. Rated: 4.7 stars on 5 Reviews. 350 pages. ASIN: B01N9NH1O5. 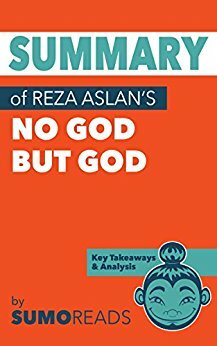 *Summary of Reza Aslan’s No god But God: Key Takeaways & Analysis (Deal, Not Free) by SUMOREADS. Price: $0.99. Genre: Nonfiction Summary Book Deal, Sponsor, History of Islam, Origins of Islamic Extremist Movements, Islamic Reformations, Understanding Islam. Rated: 5 stars on 1 Reviews. 54 pages. ASIN: B074YWK3BJ. ***Dark December: The Full Account of the Battle of the Bulge. by Robert E. Merriam. Price: Free. Genre: Biographies & Memoirs, Historical, Military & Wars. Rated: 4.3 stars on 153 Reviews. 232 pages. ASIN: B0752JWJSJ. *The First Step. by Daniel Shaw. Price: Free. Genre: Biographies & Memoirs, Leaders & Notable People, Military, Afghan & Iraq Wars, Iraq War, History, Military, Iraq War. Rated: 5 stars on 13 Reviews. 10 pages. ASIN: B00IRKULMC. Posted on August 28, 2017 Author KibetCategories Free Kindle History Books, HIstorical, HIstory, Military, WarLeave a comment on 6 Amazing Free Kindle History Books for Monday! *Summary of David Fisher’s Bill O’Reilly’s Legends and Lies: The Civil War: Key Takeaways & Analysis (Deal, Not Free) by SUMOREADS. Price: $0.99. Genre: Nonfiction Summary Book Deal, Sponsor, History & Criticism, American Civil War, Insights on Slavery. Rated: 5 stars on 1 Reviews. 24 pages. ASIN: B074YVB5QF. Winston Churchill: A Life From Beginning to End. by Hourly History. Price: Free. Genre: Biographies & Memoirs, Historical, Europe, Great Britain, History. Rated: 4 stars on 21 Reviews. 49 pages. ASIN: B071NM7VX8. Posted on August 26, 2017 Author KibetCategories Free Kindle History Books, HIstorical, HIstory, WarLeave a comment on Kindle History Deals for Friday!